“I’m about half done… Got to bed at two if that tells you anything about not being able to put it down. I thoroughly enjoyed “The Displaced”. It has been such a treat to read and consider some of Canada’s history that I was not at all familiar with. It’s marvelous to consider that she is going to share this gift with the world! I can hardly wait for the sequel! “The Displaced: A Love Story Set in Colonial America by Frieda Watt is about the conflict of war, love, hate, friendship, family, spies, and is mostly the story of Marie and Pierre. Marie and Pierre have been friends since childhood, enjoying doing things that all kids do, not realizing how much they mean to each other and how deep their love for each other really is. This will soon be tested and pushed to unbelievable limits. The era is the mid-1700s and there is war between Britain and France that has been taken across the ocean to North America. Marie and Pierre are thrown into a world they never dreamed possible, having to fight for their lives, their love, their homes, family and country. Pierre is deemed to be a deserter and sent to prison; Marie spends her days in the hospital, caring for the wounded soldiers and the local sick. Pierre is forced to endure much suffering, both physically and mentally. Marie does not know if he is dead or alive. They both face dangerous journeys and must fight to survive and hope that, when the battle is over, they will be alive and together again. 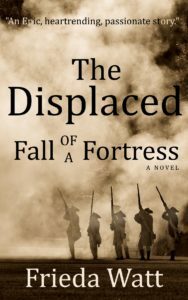 “The Displaced: A Love Story Set in Colonial America by Frieda Watt takes us into a time when France and England were often at war and this time it has spilled over to the shores of North America. 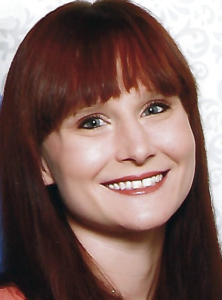 Marie Levesque is a young woman who is having trouble finding her place in the world. War threatens to take everything away from Marie – from her way of life to her friend, Pierre, a friend that could be so much more if they survive. Follow this gripping story of war, freedom and, of course, love to find out which force is the most powerful. It is no secret that I love good historical fiction, and when you throw in something that is about the colonial times in America, I am even more excited. I went into this book with high hopes of enjoying it and author Frieda Watt did not disappoint at all. Marie is a woman who seems to be a bit out of her time, but I adored that about her. She is strong and knows what she wants without being overpowering. This story has a flow that is well paced and I felt drawn into it from the first chapter. There were a few historical points that did not line up with the research I have done ( I am a history buff, what can I say), but because of how well the story is told I didn’t really mind. Historical fiction isn’t meant to be a perfect replica of history anyway, so it’s easy to overlook that small part while truly enjoying the lives happening on the page.